Rising Stars FC, the modest team from Akure in the southwestern region of Nigeria, suffered relegation from the Nigeria Premier League 2012, ending the season as number 19. Rising Stars FC used several goalkeepers during the season. It is my impression that Moruf Olasupo played the most, especially during the first half of the season when he earned some rave reviews. 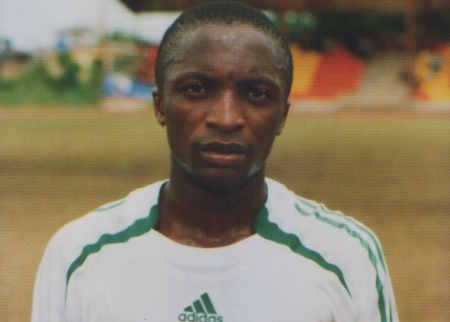 Lucky Augustine, formerly of FC Abuja, gave Olasupo tough competition, especially during the second half of the season. Sheun Betiku was mostly understudy for Olasupo and Augustine. Adeniyi Adekunle, often referred to as “Niyi Adekunle”, and Henry Ezekiel was arguably the top defenders of Rising Stars FC during the season. Tall central defender Ezekiel is currently part of the Nigeria B national football team. Clement Jonah Ayanfe and Akin Ogunboye were also important for the defensive play of Rising Stars FC. Ogunboye has top level experience with Sunshine Stars FC. Lanky midfield dynamo Philip Ede showed a lot of promise during the season and could be a player to watch. Ede is a product of the Pepsi Football Academy and was a U-17 player in 2004. Laide Akinwande, a midfielder signed from Prime FC during the mid-season transfer window, is also an interesting player. Akinwande trained with the Nigeria U-20 national football team in June 2011. Christian Kelechi played regularly in midfield before joining Shooting Stars FC during the mid-season transfer window. Dare Ojo and Femi Ojo played regularly throughout the season, mostly in attacking roles. Alaba Fadoju, primarily a striker or attacking midfielder, was often captaining the team and proved to be a key player throughout the season. A lot was expected from Solomon Azuka Enudi and Yakubu Azeez Olarenwaju (born 26.02.1991) before the season. Enudi is a speedy right winger who can also operate from the left or as a support striker while Olarenwaju is a centre forward who starred at second level during the Nigeria National League 2010-2011. Enudi, a former member of the Nigeria U-17 national football team and a former trialist of Etoile du Sahel (Tunisia), made very few headlines and failed to score a single goal during the season – despite featuring regularly. Olarenwaju became a fringe player as the season went by. He never got on the scoresheet. Striker Ado Mohammed, formerly of Shooting Stars FC, was one of few players in the squad with top level experience but Mohammed failed to shine. During the mid-season transfer window, in April 2012, Rising Stars FC signed several players to boost their struggling team. Yahaya Adamu (born 17.07.1993), Clement Bisong and Najeem Olukokun (born 27.12.1990) were signed to strengthen the attack. Adamu, formerly of the Jobisports Academy, proved to be a lethal finisher and scored six goals between 28.04.2012 to 10.06.2012. Adamu played three matches for the Nigeria U-20 national football team in July and August. Powerful striker Olukokun, formerly of Royale Union Saint-Gilloise in Belgium, and Bisong, formerly of Orlando Pirates FC and Dynamos FC in South Africa, both failed to find the back of the net. Only one player, Kayode Agboola, scored more goals than Adamu. Agboola, formerly of the Westerlo Academy, became top scorer with seven goals. Interestingly, Agboola scored one goal in January, February, March, April, May, July and August, suggesting that he is a consistent player who played regularly throughout the season. Agboola is fondly referred to as “Careca” in Nigeria. Francis Shedrack, formerly of Crown FC, scored three goals during the season. Shedrack joined Rising Stars FC together with Chukwuma Ukatu (born 12.10.1990), formerly of Gabros International FC, and Shedrack, often used as a left-winger, turned out to be the more successful of the two. Striker Segun Bajowa forced his way into the first team during the latter stages of the season, scoring two goals. Other players that featured during the season include Kehinde Abiodun, Samuel Duruibe, Abimbola Faloye, Sulaiman Folarin, Seun Taro Godswill, Bello Mayowa, Joel Lanre Micheal, David Mmadu, Mustapha Mukaila, Fisayo Oginni, Ahmed Oladimeji and Peter Onyekachi. The picture is of Philip Ede and was found on Complete Sports Nigeria.